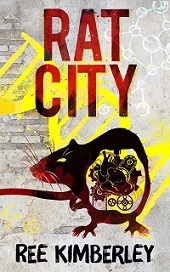 Rats are urban creatures. In cities and suburbs there is ready access to food from overflowing garbage bins and lots of small dark places to hide in. From large drains to abandoned houses to the warm, comforting spaces behind your walls or in your roof, rats like to be where the food is. Abandoned houses can be even better for rats, though. When there are no annoying humans to bother them, and no risk of being poisoned or hit with a heavy object, rats can find lots of spaces to do whatever they want. A few abandoned sofa cushions make perfect nests. Rats can make as much mess as they want in spaces like these. No pesky human is going to bother shooing them away with a broom (or worse). Now this looks like a rat paradise. Lots of places to run and hide, holes to crawl through, sunlight and shade and easy access to food sources from garbage bins in the streets outside. What more could an urban rat want?